When San Antonio native Nikki Bartlett moved to NYC in 2000, she began perfecting her favorite Texas recipes in order to bring a little bit of Texas to her new home town. Not able to find good South Texas-style sausage in NYC, she did extensive research on the sausage recipes of her motherland with influences by native Mexicans, Czech and German immigrants and smoking styles of the local BBQ joints and bought a meat grinder. After learning the ins and outs of meat-grinding, sausage-making and smoking methods, Saltette sausage was born. The result is a complex yet straight-forward smoked sausage. Her low-and-slow mesquite-smoking technique brings a fragrant, spicy flavor while keeping the sausage juicy and plump with a distinct snap from the natural casing. 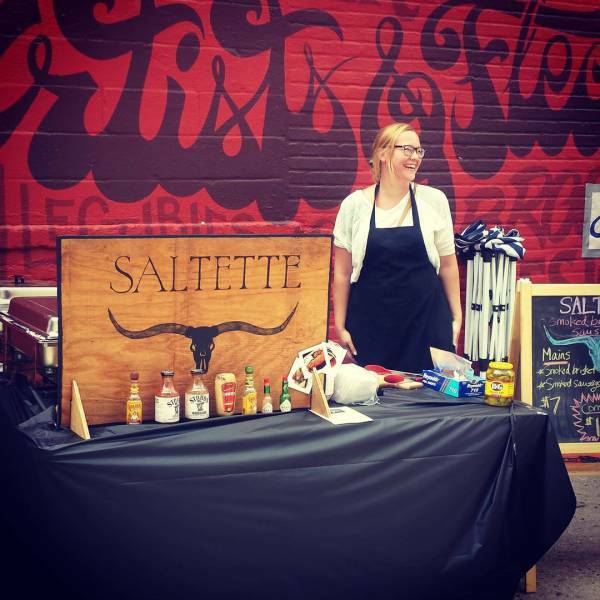 Menu additions of German potato salad, homemade sauerkraut and brisket compliment and complete the Texas repertoire of the Saltette catering menu. In addition, she specializes in lacto-fermented vegetables and sells her products in retail stores. 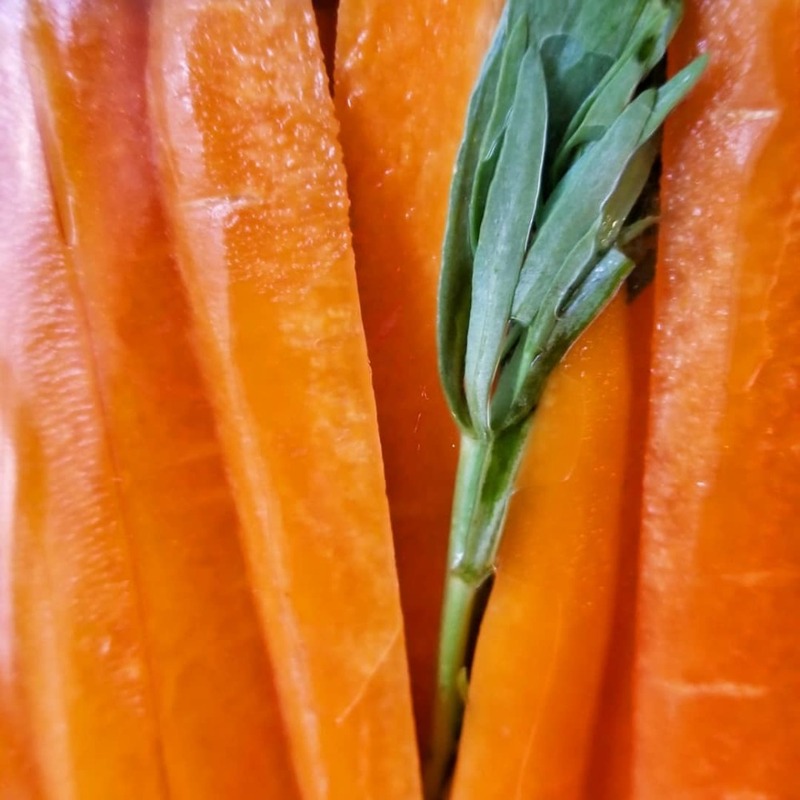 Varieties include: apple turmeric sauerkraut, curried cauliflower, beets in kvass and tarragon carrot pickles among others. Everything is made with love in small batches with the best ingredients available. ★★★★★ Mmmmmm... Best damn Hog Links this side of Texas! ★★★★★ Outstanding food! You will not be disappointed!